Punjab Agricultural University is one university which has world wide recognition. The state of Punjab has some of the experienced teachers and the curriculum in the schools was designed by them. The state government has been providing the financial help to the poor students who are studying in different schools in the state. The important feature of the state education is that several educated persons are in the field of agriculture. The state is known for having the good institutes in the field of engineering and technology. Similar is the case with medical and management colleges. The state is known for the kind of persons employed abroad but for remembering the traditions and culture of the state well. Nawanshehar and Hoshiarpur, two districts of the state, have remained as the major centres for the education in the state. Punjab has a long history in the field of education. 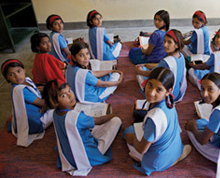 The state of Punjab has the literacy rate of 76.7 % as per the figures of census 2011.